Vegas is known for its plush hotels, crazy nightlife and stunning showgirls. Above all it’s known as the capital for high stake gamblers, the big rollers who really love the Vegas strip. However you do not need to be a poker pro’ to visit the casinos and there is plenty to see if you are curious. Here is our list of the things you will only ever see in a genuine Las Vegas Casino. Elvis Presley was the most famous resident of Las Vegas, Nevada. He first performed Suspicious Minds in the Hotel International, now known as the Westgate. 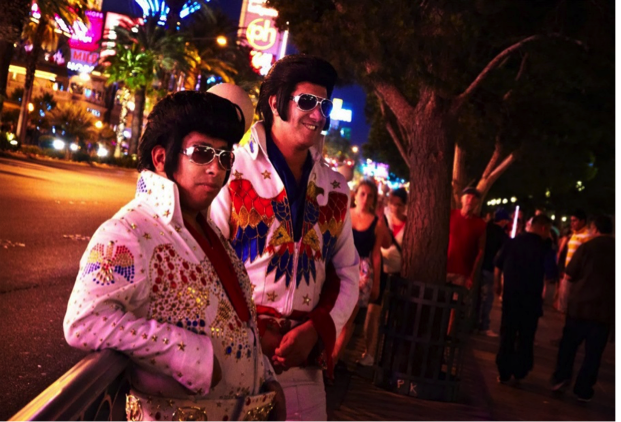 For those who believe Elvis lives on, you can see his biggest fans line the strip or catch an impersonator serving drinks at the bar. The Venetian is one of the best known casinos and hotels in Las Vegas. 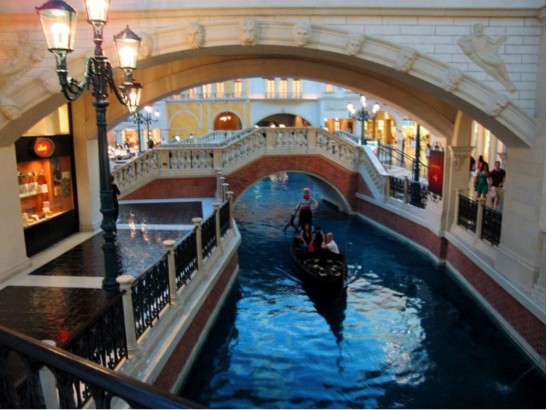 It is the home to a mini-Venice where visitors can ride a gondola surrounded each side by high class shopping outlets. 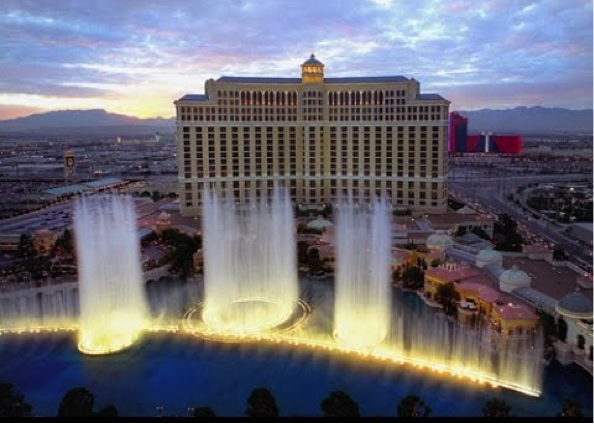 The Bellagio Casino and Hotel is undoubtedly one the most romantic and extravagant venues along the Vegas strip. Every evening you can stop outside and view a free show where the fountains dance to classical music. Every year over 50,000 weddings take place in Vegas both in drive through chapels and extravagant hotels and casinos. Whatever time of year, you are sure to see a ceremony taking place – some more classy than others. Whether on the strip or in a casino bar you are bound to be approached by a scantily dressed lady at some time or other. As well as showgirls promoting the nightlife, many of the bars and clubs employ stunning women to entice the men into their venues. 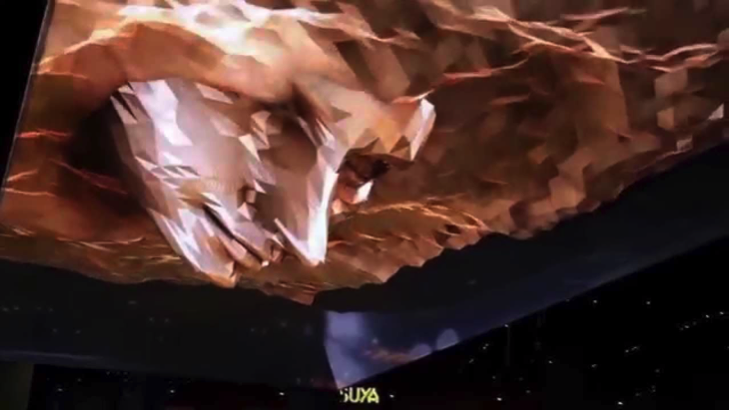 Next: Next post: Virtual Reality Gambling is Here!